Air pollution is not a myth or a fairytale politicians want us to think as. According to the World Health Organisation (WHO), the deaths that air pollution causes are so many. In specific 7 million people die every year. Most of us may not realise what this actually means. In perspective pollutants in the air attack our body and causes strokes, heart diseases and even cancer. WHO characterised air pollution as a ‘silent and invisible killer’. This is actually a very precise term as we can not see or hear it. Yet it causes millions of deaths every year. According to the statistics it causes one third of the deadly diseases: lung cancer, stroke and heart disease. Even if the problem is worse in developing countries, cities in developed countries are still not safe for us. In Europe 60% of cities are not safe breathing air. However globally 90% of people living in cities are not breathing safe air. Air is getting ‘dirty’ with a number of different sources. On of the worse is transport: car emissions is actually the main reason of dirty air. On the other hand there are also natural sources such as dust. Yet human activities, such as deforestation and mining, are causing highest level of dust. Moreover industry and energy supply are still great sources. As global population is increasing we need to manufacture more products. Hence this will only lead to dirtier air. But this also applies to potentially all sources of air pollution. Air pollution into your house too! If you believe that inside your home is safe, then you should know this is not true. In fact you might be in more danger in the case of poor ventilation. 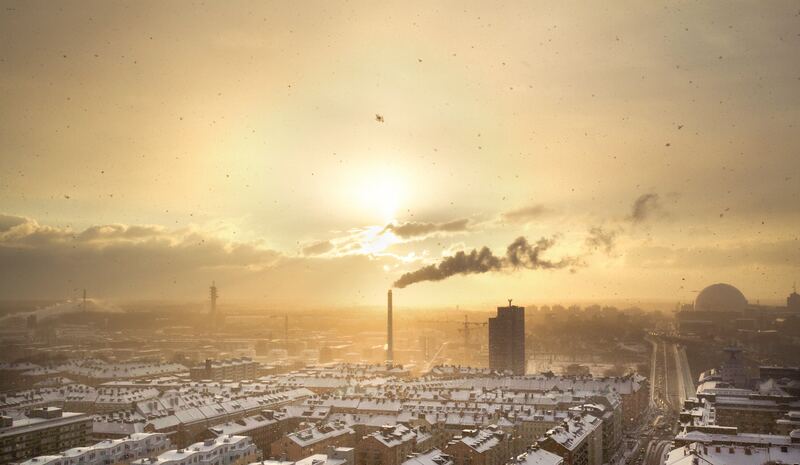 According to WHO 3.8 million die every year from household air pollution. In addition it is mainly created from using kerosine and solid fuels when cooking. However the problem affects more children and women. In addition pneumonia is the main cause of death for children under five years old. Where household air pollution is the main risk factor to cause pneumonia. As the majority of world population lives in cities, many lives are in danger. Hence 9 out of 10 people worldwide breath polluted air. Therefore the health problems are many and major. One of the most logical health issue is lung disease, such as cancer. So 43% of all lung diseases are cases due to polluted air. On the other hand strokes can also be the result of air pollution: 1 out of 4 cases. In addition heart is also similarly affected. In fact 25% of heart disease deaths are because of polluted air. Go green in urban but also in rural areas is the only solution for change. For example traditional transportation should change with public transportation and cycling networks. Green cities are becoming popular to the developed countries. However they aim in reducing energy and wastes. Yet green cities are using clean technologies that produce less air emissions. Since technologies and good practices are available, there are no more reasons no to act by the governments. Therefore any public agency must act now for a greener city but mainly for healthier citizens.